Many of current philosophies and spiritual techniques are talking about the art of being present, mindful, being in the moment. I find the approach introduced by Ariel and Shya Kane, instantaneous transformation, the simplest to grasp and most helpful. They talk about awareness, about non-judgmental seeing and listening, about anthropological way to observe ourselves and others. Their approach helps me to experiment with the way I view my life, myself, people and basically everything around me. Today, I was thinking about listening and thought of the German word “horchen” or rather the imperative “Horch!” The latter calls you to listen, to be attentive. The word “horchen” can be also used when describing children listening attentively and with awe to a story or a fairy-tale. And then, there is the word “gehorchen”, the root of which is again “horchen”. This word means “obey” or “do as told”. And when I thought of these two words I had an “AHA” experience. Ariel and Shy say that not many of us can or want to do what and how told. Or as they call it, not many of us can surrender. Ariel and Shya make difference between surrender and succumb. They say that we surrender with our hearts, because we then embrace the idea or request of the other person as our own and we fulfill it with all our hearts. But in order to be able to surrender we need to listen. Really listen what the other person says, from this person’s point of view. And only then we will be able to truly surrender. So, if you are able to “horchen”, listen to another person as though you are a child listening and being in awe with every word of the story told, then and only then you can truly “gehorchen”, surrender with all your heart. That was a fun discovery and made me fall in love with different languages even more. And here is a bonus, side-effect discovery: the contemplation above showed me that different languages are not necessarily misleading, as suggested in the legend of the tower of Babel and as we experience sometimes. Considering same words in various languages can also clarify and help in understanding tricky nuances of our lives. Because different languages offer different perspectives on the same thing. 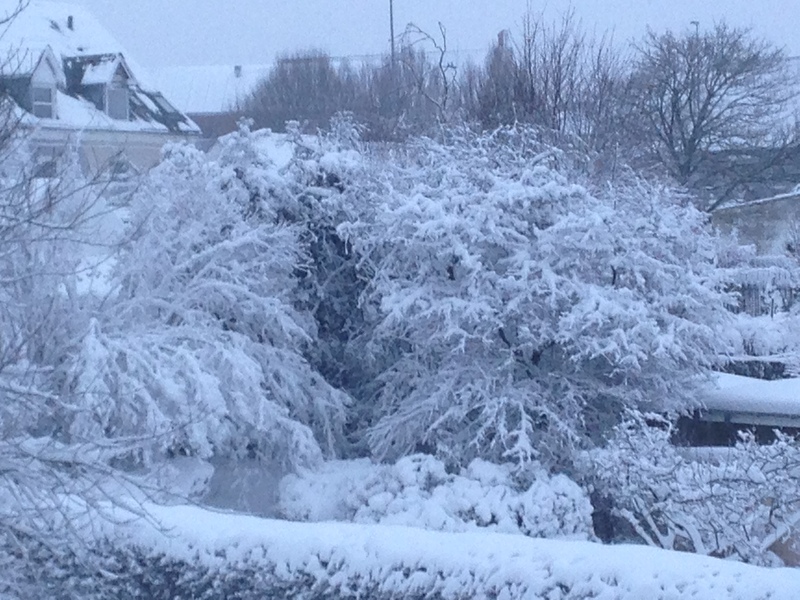 Picture of a beautiful fairy-tale world around me: Aalborg in snow. As many adults I think small children must be taken care of. This is true and comes naturally to most of us. But it still comes as a surprise to me that our small, not long ago having been toddlers, children are able to take good care of us. My sister has a kind of allergy or phobia against peach skin. She gets goose-bumps all over even while thinking of it. A bit more than twenty years ago, I watched my three-year old niece peeling the skin of a huge peach. I wondered what she was doing, because the fruit was washed and she didn’t mind eating it with the skin before. As soon as I asked her, she answered: “Mommy can’t eat the skin, so I am peeling it.” She was preparing the peach for her mother. My sister had no idea she was getting a peach. It was her daughter’s idea to do this. About a month ago, I have put my son into a position to take care of me. It was done unintentionally, and I might have done this before, but this time I became aware of this and enjoyed immensely the lesson I learned. I came back from a business trip. I had big difficulties to remain awake, already quite early in the evening, because of a Christmas party with colleagues the night before. My son wished me to bring him to bed. In contrast to me, he had difficulties to fall asleep, so I suggested to undo the studio couch in the room adjacent to his and to try to fall asleep there together. He agreed. But even then he turned from side to side, sat up and played with his toys. He was fully awake. This is the last thing I remember before my husband came to wake me up and to bring Niklas to his bed. As I woke up, I saw Niklas sleeping beside me and holding my hand. He haven’t let it go. The next morning, I thanked my son for taking care of me. He was extremely proud and talked for a while about this. He has demonstrated me how he closed his eyes, when he saw that I was asleep. 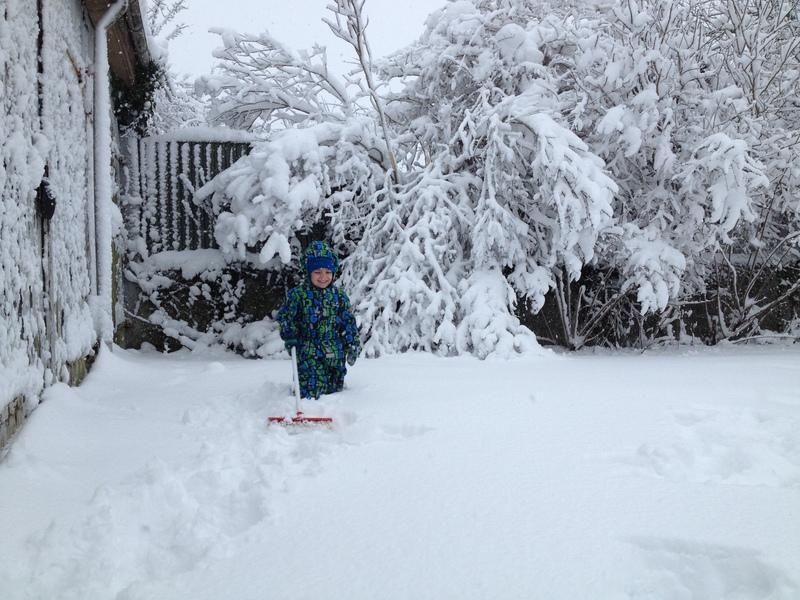 Picture: my big boy shuffling snow two days ago. He was angry when my husband and our neighbor shuffled away the snow ‘mountain’ he has created. My son was of the opinion, that the pile of snow standing in the middle of the yard wouldn’t disturb the cars coming out of the garages. This book was a complete surprise for me. It was not what I have expected from the short description. And it was not one of the genres I usually read. I always thought that science fiction was not quite for me. 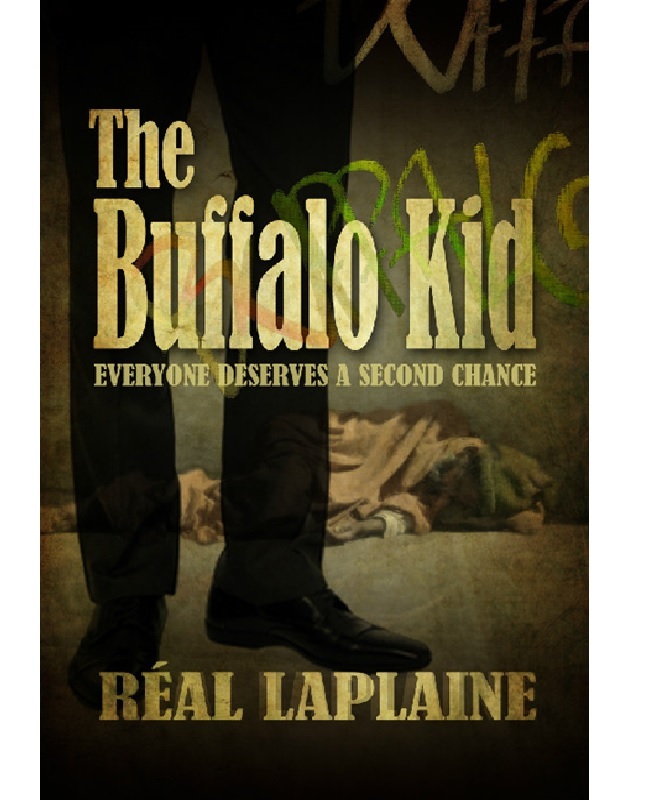 The Buffalo Kid made me curious to read more both of its author and of this genre. But it would be not quite true to put this book onto the Science Fiction shelf only. I think it could well be put onto the shelves with books discussing social issues, politics, humanity, books about trust, forgiveness, prejudice, pride, compassion, friendship, and love. And of course mystery. There is quite a lot of it spiced with a generous portion of suspense. The second half of the book was my favorite. The flow was natural and it kept me hooked. I finished the last quarter in one sitting. The only critique points I have is that the beginning was a bit slow and there were four or more backstories revealed. And too many voices in the book (if I remember right: four first voices and all others in third). Although, I must say that I probably would have a difficulty to reduce to two as I initially thought would be best. At the end of the book I agreed that at least three were necessary: two first ones and a third voice for all the other characters. Or all just in first. For example, one of the characters was presented as first voice most of the time, but in one short chapter her thoughts and feelings were giving in the third voice. This was a bit confusing. But there was one intriguing thing about so many voices in one book: I had to guess who this was. The backstories at the beginning were like introduction: Hi, I am …. And then you had to recognize who was talking. That was definitely fun. Thinking of this, I guess only first voices would make more sense. What if I wrote about my father? It is a very exciting day for me today! In the week of my father’s seventy-second birthday, I start a new category in my blog. I start writing about my books. In my Facebook writer’s page, I have already shared the intention to base the first novel on my father’s story, the story of his childhood and youth. What if a student, freshly out of an orphanage, sets out to find the family he lost as a toddler during the World War II, – part of which is referred as the Great Patriotic War in Soviet Union -, thinks to have reached his ultimate goal and finds himself rejected? In a number of the future posts preceding and following the day it will be published, I will tell you about the reasons I am writing this novel, about its progress, about wonderful people who support me and help me along the way, anecdotes connected to various scenes and to the process of writing it, and much, much more. I am excited to share my experience during this wonderful adventure with you! Picture: my father in some of the very first clothes, which fit him perfectly. Most of the clothes he owned after leaving the orphanage where too big. 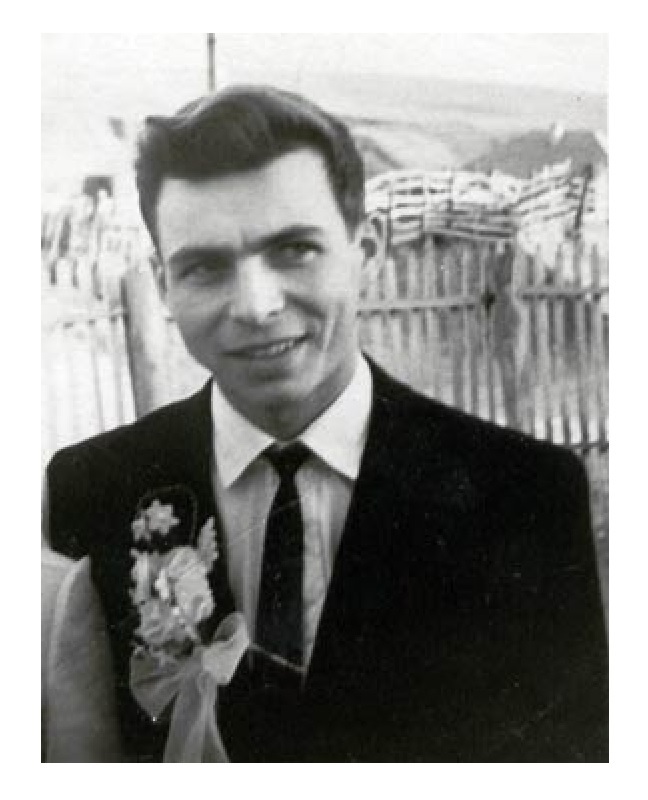 This picture was taken at his wedding with my mother.